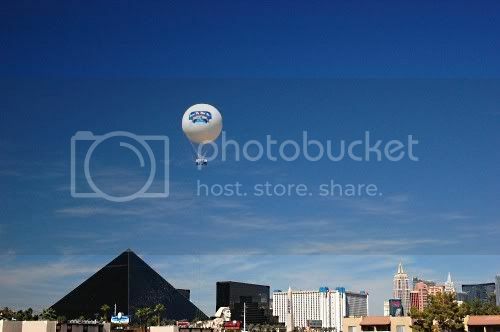 Las Vegas has another new attraction, the Cloud 9 Balloon. It's right on the Vegas Strip across from Mandalay Bay and Luxor Casino Resorts. The massive 11 story tall balloon is the largest land tethered helium balloon in the world. It carries passengers 500' above the 'Entertainment Capital of the World, offering spectacular views both day and night. The 2 year dream of Cloud Nine Balloon owner Kevin Michaels opened Oct. 5th. 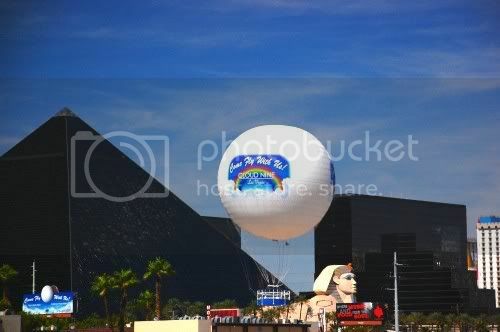 He first saw the balloon in Spain and began his plan to bring the unique attraction to Las Vegas. It's not only a balloon ride, but a learning experience about lighter than air flight and combined with art found in the complex. Catch a glimpse of it all in this opening day video of Cloud Nine. It's no surprise that even through this global economic downturn that entrepreneurs like Kevin look to Las Vegas as the place to be. For those of us that live here we get the benefit of having these amazing attractions right in our back yard, combined with the abundant recreation or natural beauty of nearby places like Lake Mead. Cloud Nine isn't the only thing 'on the rise' Southern Nevada. Las Vegas homes sales have been up throughout 2009. September's home sales are not only up, but show that Las Vegas home prices have also risen. Earlier reports on September sales and inventory indicated that of an inventory of 20,801 listings with only 7,909 that weren't under contract, indicating Las Vegas had a 3 month supply of homes. From new attractions like Cloud Nine's opening, to these positive Las Vegas home market statistics, it shows that everyone from investors to home buyers are looking forward to a bright future for the valley.